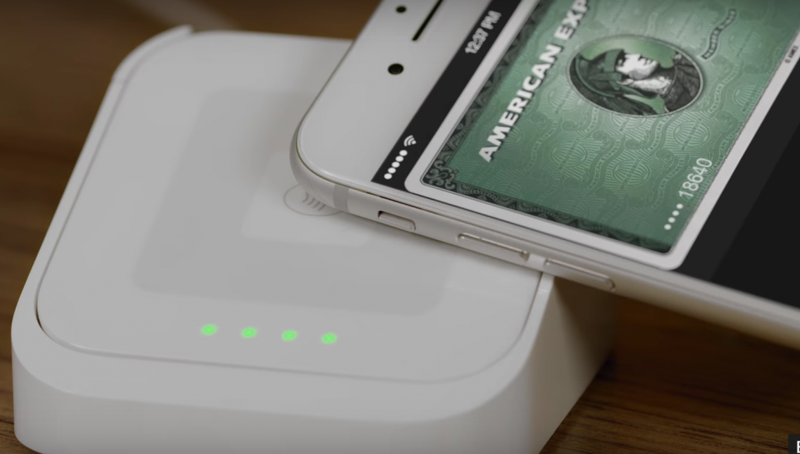 Square accepts Apple Pay, Samsung Pay, and Google Pay (formerly Android Pay) eWallet payments as a built-in feature of its payment processing service. 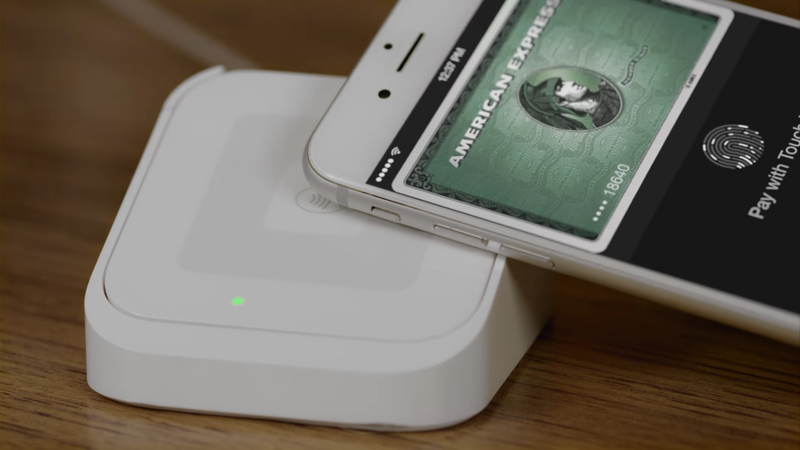 To accept eWallet payments with Square, sellers just need a $49 contactless reader. We’ll show you how to get one, connect it to Square, and accept eWallet payments in five easy steps. Setting up a free Square account to accept eWallet payments takes just minutes and is completely risk-free — there are no setup, monthly, or cancellation fees. All you pay is a low, flat-rate 2.75 percent fee each time you process a credit card, debit card, or eWallet payment. 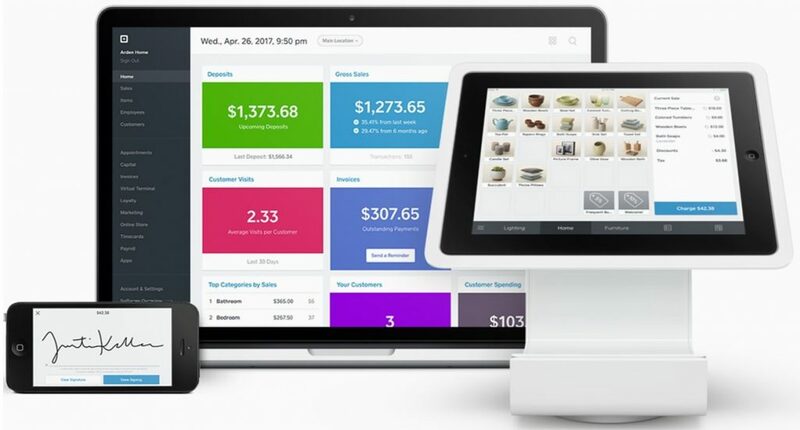 Sign up today for Square’s industry-leading point-of-sale (POS) software to record cash and check sales, manage inventory, customers, staff, and more — all for free. eWallets, such as Apple Pay, Samsung Pay, and Google Pay, are digital payment platforms that let shoppers securely store their credit card data in the cloud and complete purchases via an app on their smartphone, smartwatch, or tablet. eWallets—also called mobile wallets—are free for consumers to use and there are no added processing fees for sellers accepting eWallet payments. 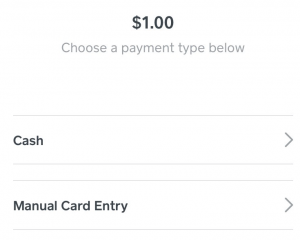 Payment services charge the same processing fee for eWallet payments as they do standard credit and debit cards—like Square’s low, flat rate 2.75 percent fee. Sellers accept eWallet payments with a special “contactless” card reader that uses near-field communication (NFC) technology to communicate with the eWallet app— like the Square contactless reader below. During checkout, the customer simply activates their payment app then hovers their mobile device over the reader. The reader securely captures and transmits payment data, and the charge is approved (or declined) within seconds to complete the sale. Square makes it easy to accept Apple Pay, Google Pay, and other eWallet payments; all you need is this $49 reader. 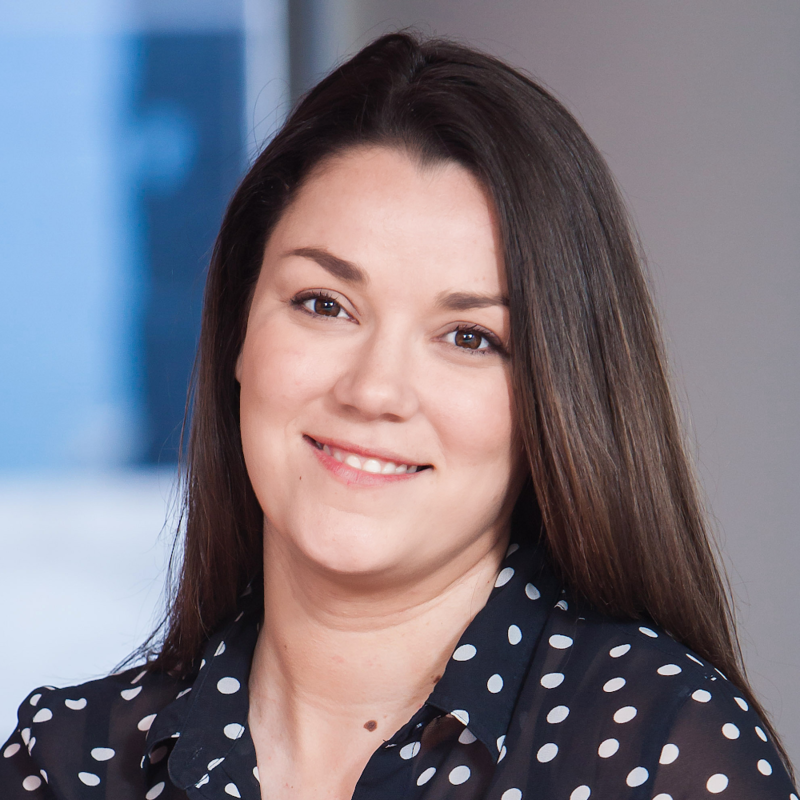 No group has embraced the digital wallet quite like Generation Y, with three in four saying they’ve used at least one eWallet in the past year,” says McDermott. “Half of all 18- to 38-year-olds already use digital wallets regularly. But other generations are catching on: 40 percent of Gen Xers say they’ve used a digital wallet in the past year, followed by 17 percent of baby boomers. “Busy customers appreciate that the quick eWallet checkout option is available in my shop, and are often surprised.” says Thomassen. “Using Square to accept eWallets like Apple Pay increases their checkout speed and overall customer satisfaction. 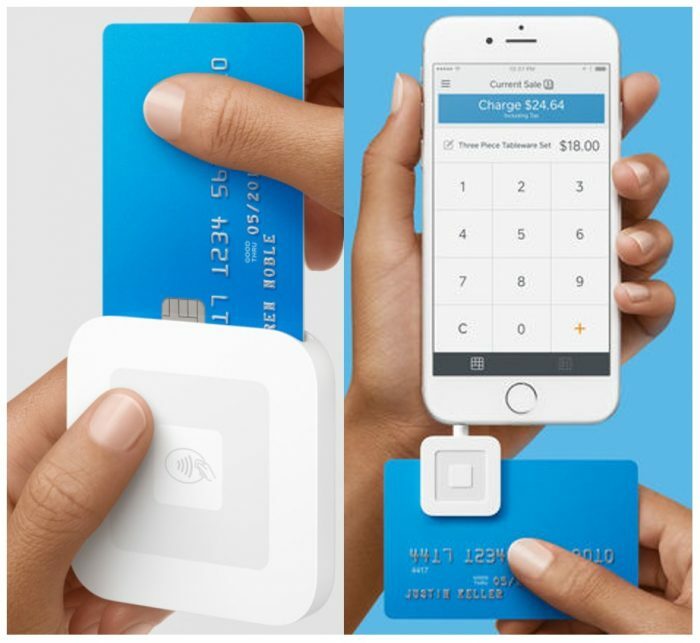 Square is the top payment processing pick among small businesses and individual sellers for many reasons. As we stated above, the ability to accept Apple Pay, Samsung Pay, and Google Pay eWallet payments is built into every free Square account. Every business or individual seller that uses Square for payment processing is already set up to accept these three top eWallet payments. If you don’t have a Square account, your first step is registering for one here. This is completely risk-free—no cost or strings attached—and it takes just seconds to complete. You simply need to fill out the information in Square’s brief form, pictured below. Registering for a free Square account takes just a few minutes and you can cancel at any time. As soon as you open your free Square account, you can start accepting credit cards for online or keyed-in payments immediately. However, to accept eWallet payments and physical cards in-person, you’ll need to purchase Square’s contactless reader for $49 in Square’s online store. You can even pay for it in three monthly payments of $17 if your budget is tight. You can use the sleek $49 Square contactless reader, left, by itself, but some sellers prefer to add the $29 reader dock, right, to keep it in place for countertop sales. If you need the reader immediately, you can purchase it locally in a store that stocks Square hardware—including most BestBuy, Walmart, Apple Stores, and Amazon kiosk shop locations. 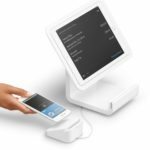 Square’s free POS app is what connects your contactless reader to Square’s payment processing system. 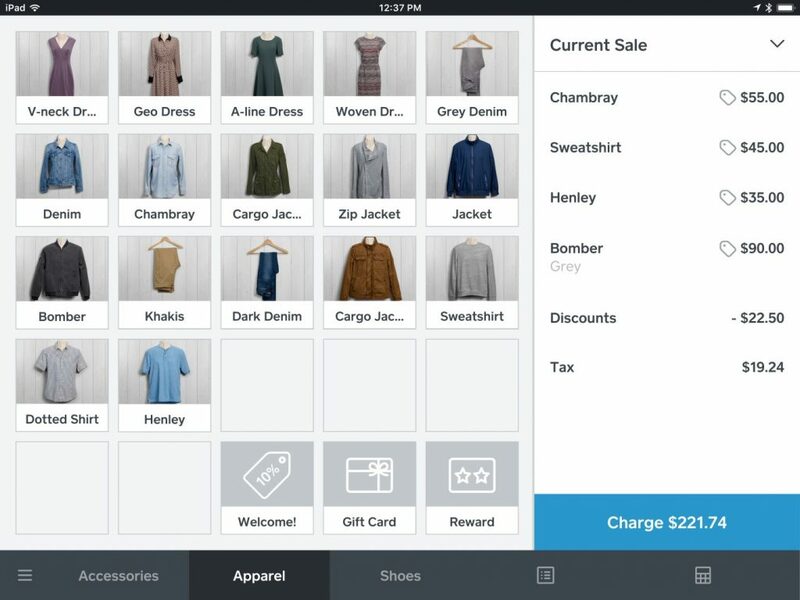 You can download Square’s free POS app onto most Apple and Android smartphones or tablets. Check Square’s device compatibility list to be sure your device will work with Square’s POS app and contactless reader. Square’s POS app works on a variety of Apple and Android devices. You can even create a countertop register by pairing an iPad with the $169 Square Stand, on the right. This includes a contactless reader and dock. Once your free Square POS app is installed onto your device, you’re ready for business—even before your contactless reader arrives. As soon as you’ve downloaded the Square POS, you can accept credit card payments by selecting Manual Card Entry and simply keying in a customer’s card number into the app. You can also record any cash or check payments in the app. You can record cash or check payments and enter a credit card manually while you’re waiting for your Square reader to arrive. Once you’ve downloaded your Square POS app and have your contactless reader, you simply need to connect the two so you can start using Square to accept Apple Pay and other eWallet payments. 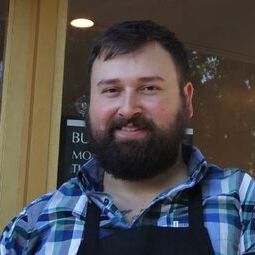 How you connect your reader to the Square POS depends on how you sell. If you don’t use a stationery checkout, you can simply connect your contactless reader to the Square app on your mobile device via Bluetooth, following Square’s pairing instructions for your device. This type of pairing is ideal for all types of mobile sales needs, like accepting payments at festivals and markets, and for on-site service payments. 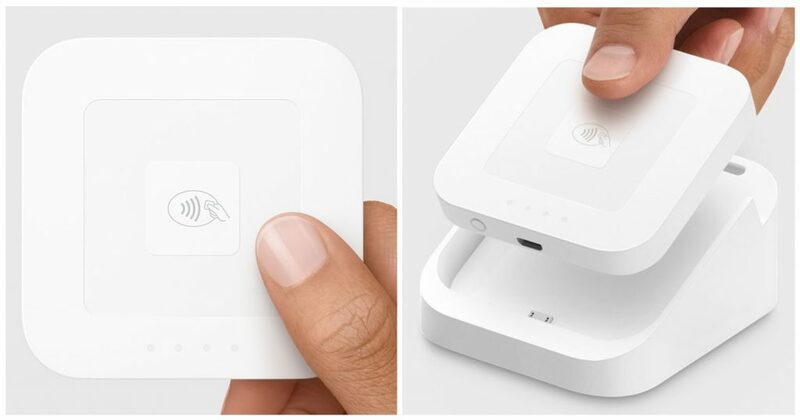 Square’s contactless reader wirelessly connects to mobile devices via Bluetooth to accept eWallet payment anywhere. In addition, you can purchase a case, right, to store your Square reader. 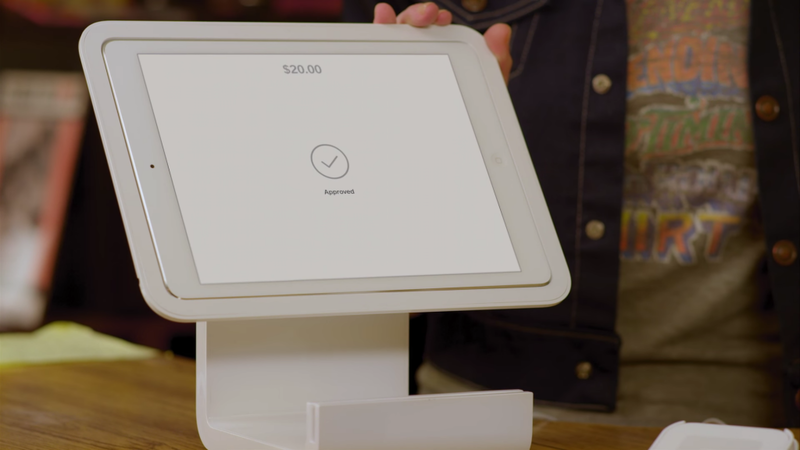 If you purchase the Square Stand to use as your in-store checkout, it comes complete with a contactless reader, dock, and USB cable. Simply connect the dock to the stand with the USB cable, insert the reader into the dock, and it’s ready to go. Or, if you prefer, you can also connect the reader to the iPad in your stand via Bluetooth—both methods work. The Square Stand connects to the contactless reader via USB cable, left, or wirelessly using Bluetooth, right—whichever you prefer. When the eWallet payment has been completed, all four lights on your reader turn green, as shown below, plus a chime will sound. This tells you it went through. When complete, your Square app will also display an “Approved” check mark on your checkout screen, shown below. After that, you can print or email a receipt to your customer and you’re ready to take care of the next one in line. You can see Square’s eWallet checkout process in action in this video. We’ve shown you how easy it is to use Square for Apple Pay, Samsung Pay, and Google Pay eWallet payments. However, the steps above don’t answer all of the questions that current and potential Square users have about this process. Here are answers to some common questions about the finer details of processing eWallet payments using Square. Does Square Support Other eWallet Brands? Not currently. We spoke to Square today and they confirmed that Apple Pay, Samsung Pay, and Google Pay (formerly Android Pay) are the three eWallet brands that they support. Others, like MasterCard’s MasterPass and ChasePay from Chase Bank, are not yet on the list. However, Square realizes this is a growing payment preference among consumers and plans to add other popular eWallet providers to the list in the future. Does Square Accept eWallet Payments for Online Sales? Yes. If you use Square as your online payment gateway for your website, or if you use Square’s free online store to sell online, your customers can use their Apple Pay, Samsung Pay, and Google Pay accounts to pay for online purchases. This works for Square’s online invoice payments, too. Yes. The NFC technology that enables eWallet payments is far more secure than a standard magstripe card. In fact, by using Square’s contactless reader for eWallet and other types of credit card payments, you’re at a lower risk of fraudulent charges and are using the latest in payment security. Plus, Square is a recognized secure NFC payment processor, so your customers will know that their payment data is secure. Learn how NFC technology supports secure payments in our NFC payment guide. Does the Contactless Reader Process Credit & Debit Cards? Yes. You can process EMV chip cards—both credit and debit—using your contactless reader, too. 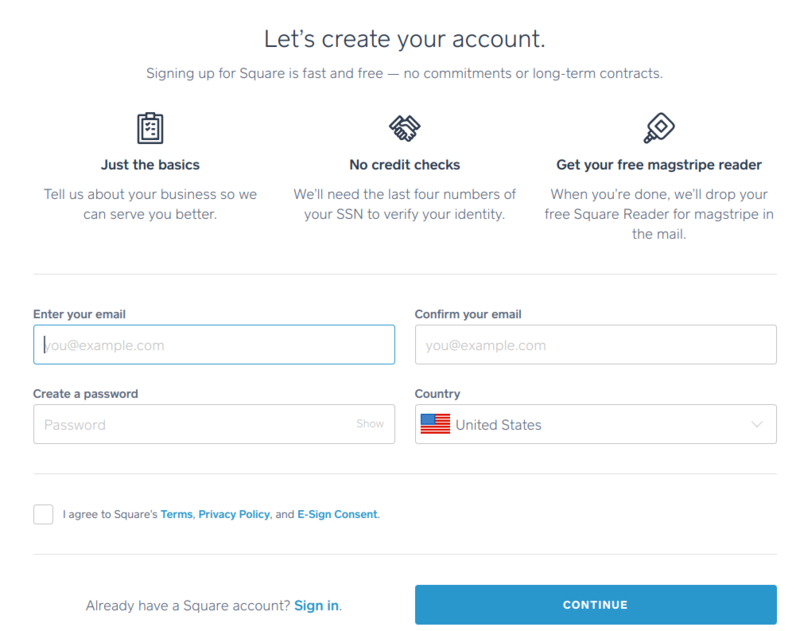 You can’t process a magstripe card with this reader, but Square sends you a free magstripe reader when you open your free Square account. So, if you have a customer with a magstripe card, you can accept it, too. Square’s contactless reader also processes EMV chip cards, shown left, but for magstripe cards, you need to use the magstripe reader, right, that Square sends you for free. Can I Accept eWallet Payments Using My Own Merchant Account? That depends on your payment provider. Most major merchant services providers support eWallet payments, but you need to check with your provider and possibly have this capability added to your plan. They will also need to provide you with NFC card readers—these are sometimes called “smart terminals” that are compatible with their system. If you’re a Square user, all you need is Square’s $49 contactless reader to accept Apple Pay, Samsung Pay, and Google Pay eWallet payments for in-store, mobile, and online sales. 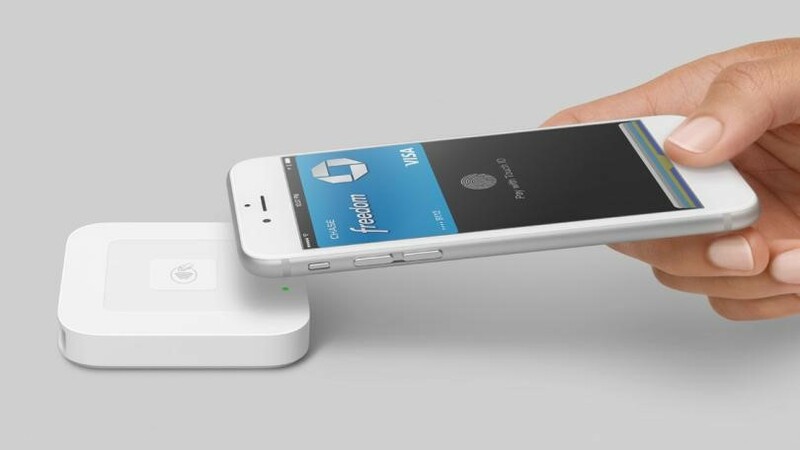 The contactless reader seamlessly integrates with Square’s free retail POS system. For wireless mobile connectivity, you’ll connect your iPad, iPhone, or Android device via Bluetooth. If you use the Square iPad stand as your in-store register, you can connect the reader dock directly using the USB cable, or connect it wirelessly—your choice. Once connected, accepting an eWallet payment with Square is a simple process. Select “Credit Card” as your payment option, tap “Charge,” then have your customer hover their mobile device over your reader. Within a second or two, you’ll see four lights and hear a chime telling you the payment is complete. Accepting eWallet payments using Square carries no added fees. 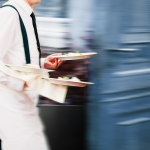 Sellers pay the same low, flat rate 2.75 percent as regular credit and debit cards. Ready to offer cutting-edge eWallet payment services to your customers? Open your free Square account today. Do you use eWallet payments for purchases, or accept them in your business? Which eWallet apps and payment processing options do you prefer? We’d love to hear what works for you in the comments below.